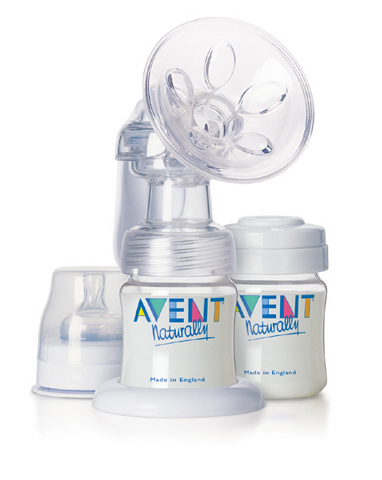 The Avent Isis Breastpump is the absolute best manual breastpump on the market! This manual pump is quiet, requires no power source; A perfect pump for traveling. The Avent Isis� Breast Pump stimulates let-down gently with soft "petals" that massage the breast while the silicone diaphragm draws a consistent milk flow. The result is a pump that works naturally to provide efficiency--giving you the flexibility to continue breastfeeding your baby. In fact, a clinical study demonstrated the Isis Breast Pump to be just as effective as a hospital grade electric pump. In the same study, mothers rated the Isis Breast Pump as more comfortable and pleasant to use. Since it requires no electricity, the Isis Breast Pump is portable and quiet enough to use discreetly. When paying using paypal, please provide a phone number in the comments section, so if I have a question about your order, it can be shipped without delay.